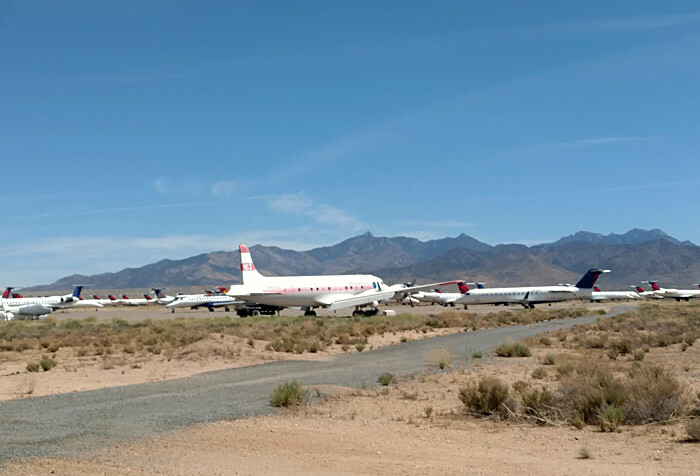 I had always heard about the aircraft "boneyard" at the Kingman Arizona Airport (KIGM) and since I live about 123 miles from Kingman I decided to go visit the airport and see what it is like. The first thing you notice when arriving at the airport is the cool World War II tower. 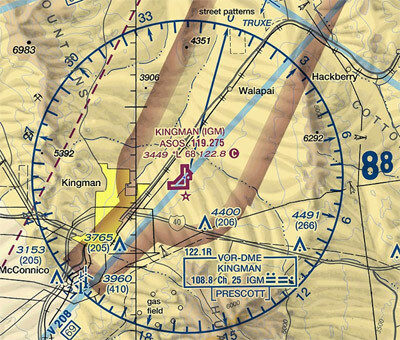 The Kingman Airport was built as a World War II United States Army Air Forces training field in 1942. Kingman Army Airfield was a training base for aerial gunners. The initial goal was to train as many as 200 gunners per week in air-to-air gunnery using initially .30 caliber machine guns and later .50 caliber machine guns. The airbase was closed down after the end of World War II and on November 15, 1945 was declared surplus. 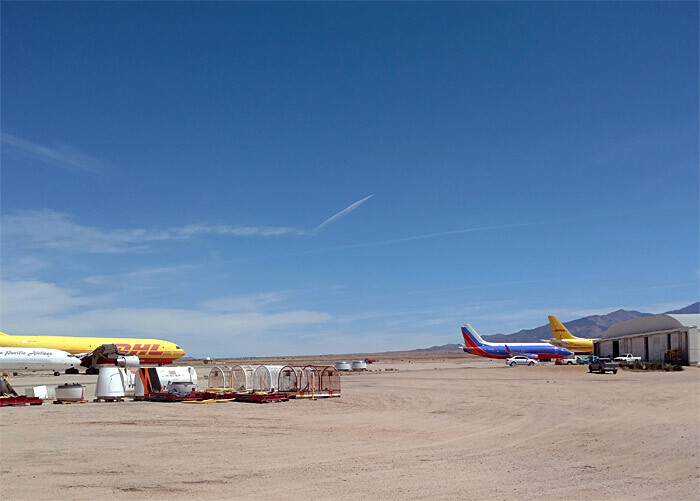 After World War II, the War Assets Administration came to Kingman AAF to set up Sales & Storage Depot No. 41. It is estimated that approximately 5,500 warbirds were flown here between 1945 and 1946 for storage and sale. 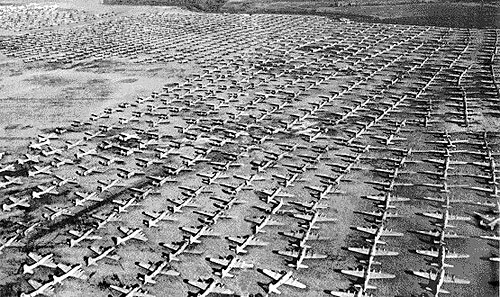 Wow, that's a lot of airplanes! Individuals could come here and buy a BT-13 trainer for as little as $450 or a B-24 bomber for $13,750. With the disposal of the military aircraft completed, Kingman AAF was returned to civilian use in 1949. 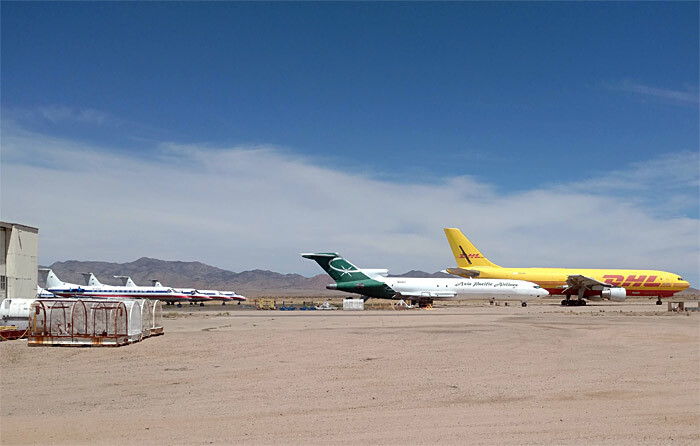 There doesn't seem to be any WWII aircraft here anymore but there are plenty of airline type aircraft sitting around in storage. I love this old hangar. 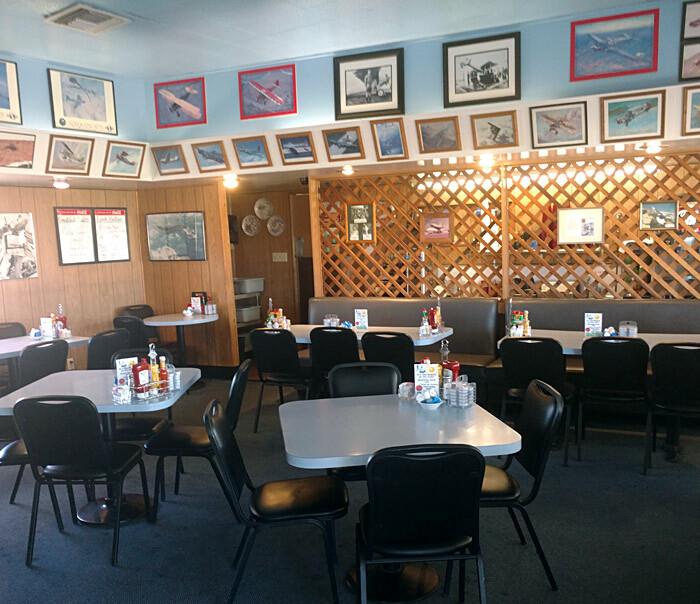 Finally, there is a great airport cafe on the field which serves great meals, so if you decide to visit the airport be sure to go to the cafe too!